...and then in 2011 our daughter was born. Things changed. We soon released that our idyllic little wildlife haven was not going to suit us for much longer. Children need space to play and to grow. They don't really need cascading Jasmine and prickly raspberry canes taking up precious play space! By the time our daughter was 18 months, she had been stung twice by bees and was pacing like a caged lion around the tiny piece of remaining lawn - her slide, trampoline and sandpit all crammed into this space in the middle of the garden. Our little wild one has learnt that the bees are most likely to be in these areas, and while they are lovely to look at and fascinating to watch, there is no need to disturb them. In return, they are far less likely to sting you! Our mini-pond is home to damselflies and pond skaters and provides a source of water to the sparrows, robins and finches that are regular visitors to our garden. It is mini for a couple of reasons: We don't have a lot of space so a large plastic tub is all we can really accommodate. Also, for safety reasons, I wasn't too keen on digging a pond while our daughter is small and way too adventurous for her own good! She enjoys helping me to clear the blanket weed every now and again and is fascinated by the min-beasts living in our mini-pond. We have a small Conference pear tree which provides some shade in our otherwise sunny garden. Aquilegia and Campanula grow quite freely underneath providing ground cover for frogs and small mammals. We once found a hedgehog curled up asleep in amongst the plants. 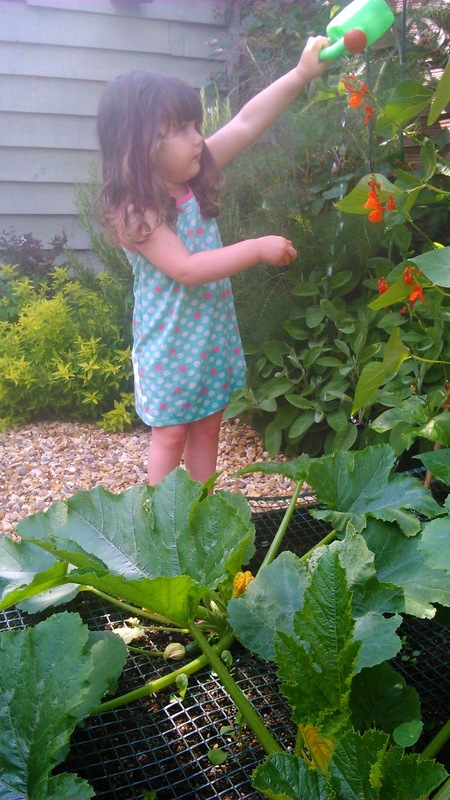 The wildlife needs a place to seek refuge when our little wild one is making a racket in the garden! Nature knows best. By planting native species in your garden you are providing a habitat and source of food to native species. They have evolved together after all and depend on each other for survival. I'm hoping that we can teach our daughter this important lesson as she grows and starts to appreciate the world around her. 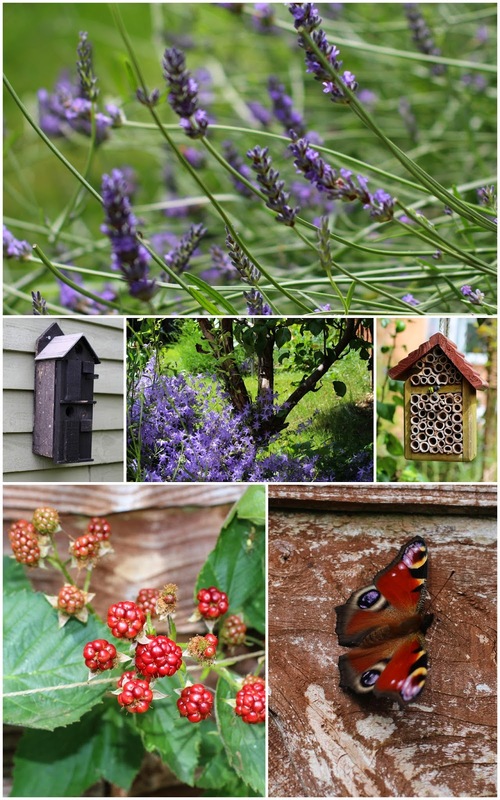 Bee hotels, bird boxes and hogitats are all essential additions to the wildlife garden. They provide safe places to rest and nest, away from human interference and unwelcome predators such as domestic cats and dogs. We recently had a very sad incident where a mummy hedgehog gave birth to a litter of 5 babies in the doorway of our shed. Needless to say, that wasn't a very sensible place and the babies were soon discovered by a cat and killed. We are hoping she will come back one day and move into our new hogitat. There are many more things that you can do to encourage wildlife into the garden, without compromising on valuable play space for the family. Our garden is still very much work in progress - do you have any other ideas we might try?